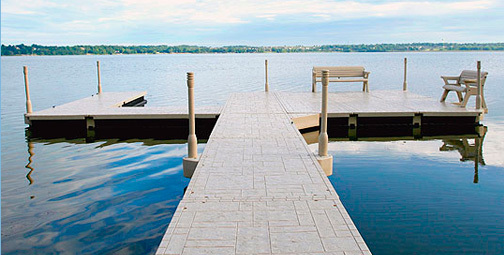 When it comes to superior design and functionality, the Wave Dock has set the new standard for modular poly floating dock systems. 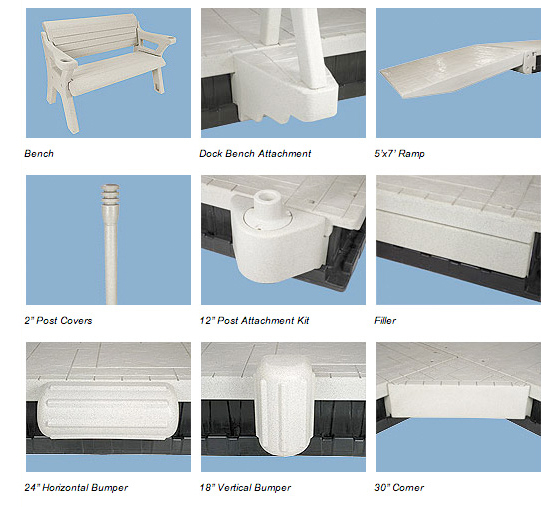 Wave Dock’s advanced technology places an individual deck section on a matching float for stability and design options. 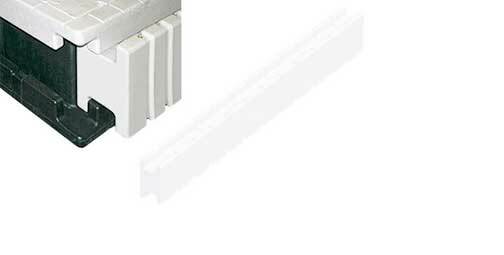 Sections attach quickly and easily…just slide the easy-to-use H-Beams into the channels to make your connections seamless and infinitely modular. The battle-proven design also provides just the right mix of rigidity and flexibility to handle anything Mother Nature can throw at it. Beautifully molded durable polyethylene construction with built-in UV protection. Easy to install, proprietary “H-Beam Channel Lock” connection system for hassle-free assembly/disassembly. 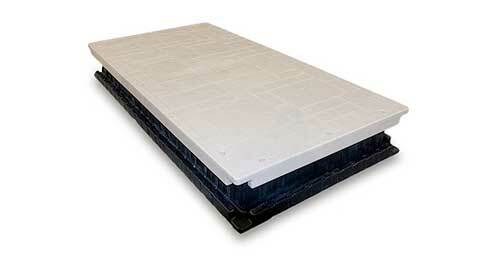 Rugged, purpose-built dock float with rigid, closed cell foam-filled interior. 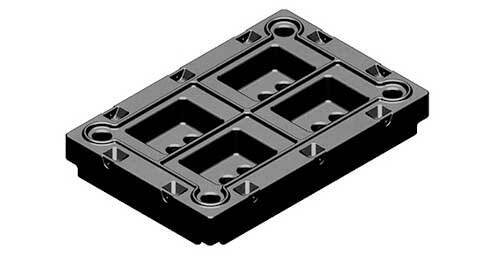 In-mold fastener attachments spaced around perimeter for adding tie-down cleats where you need them. The universal float tank has anchoring points all the way around, and thru holes at each corner for bolting to the top deck. Cutouts on floats reduce weight, increase strength and stability, and have a suction cup affect to the water. Arrange modular floating Wave Dock sections to meet your needs.